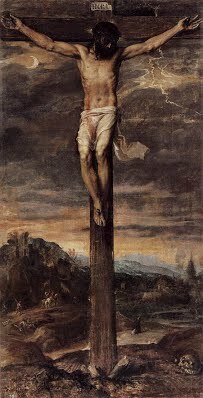 Prayer Meditation for Good Friday - My Catholic Life! My Most Glorious and Suffering Lord, it is Your Hour. It is the Hour by which You conquered sin and death. It is the Hour for which You came into this world, taking on flesh so as to offer Your precious life for the salvation of the world. May I be with You, dear Lord, in these moments of suffering and death. May I, like Your Mother, John and Mary Magdalene, stand at the foot of the Cross, gazing upon the perfect Gift of Love. My suffering Lord, may I see in Your Cross the most perfect act ever known in this world. May I see Love in its most pure form. May my eyes and soul look beyond the blood and pain and see Your Divine Heart, pouring forth Mercy upon me and upon the whole world. Today I kneel in silent adoration of You, my God. I sit quietly, beholding the great mystery of our faith. I behold God, beaten, bruised, mocked, tortured and killed. But in this act, I see all grace and Mercy flowing from Your wounded Heart. Bathe the world in Your Mercy, dear Lord. Cover us with Your grace and draw us to new life through Your death. I love You, dear Lord. I love You with all my heart. Jesus, I trust in You.